The debate has always been hot about the risk-benefit ratio of human papillomavirus (HPV) vaccines, ever since Merck’s Gardasil-4 vaccine was fast tracked to licensure by the U.S. Food and Drug Administration (FDA) in 2006 followed by persistent reports of young girls suffering serious health problems after vaccination.1 Now, new international investigations and reports of failure are hitting the headlines, prompting additional worries about severe reactions to HPV vaccines. Three HPV vaccines are available both in the United States and the European Union. Merck and Co. makes two of them—Gardasil-4, the first FDA-approved HPV vaccine, and Gardasil-9, the newest licensed HPV vaccine—while GlaxoSmithKline Plc makes the third, Cervarix. In July 2015, the European Medicines Agency (EMA) launched a probe to clarify the safety of the three HPV vaccines. The EMA’s Pharmacovigilance Risk Assessment Committee (PRAC) will review available data with a focus on two conditions: complex regional pain syndrome (CRPS), which impacts the limbs, and postural orthostatic tachycardia syndrome (POTS) which increases heart rate abnormally and causes dizziness, fainting, chest pain, headache and weakness. A 2015 review published in Clinical Rheumatology describes a hypothesis for the development of CRPS and POTS following HPV vaccination. Between 2006, when Gardasil first received approval from the FDA, and August 14, 2015, there have been 36,855 Gardasil-4 adverse reactions reported to the FDA’s Vaccine Adverse Event Reporting System (VAERS). Specifically, 16,327 (44%) were serious events categorized as “life threatening” or requiring an emergency room visit or hospitalization. There have been 6,914 Gardasil-4 adverse event reports where the patient “did not recover” and 1,145 reports that resulted in permanent disability. There have been 208 Gardasil-4 death reports made to VAERS. Judicial Watch reported that the National Vaccine Injury Compensation Program (VICP) had awarded at least $5.9 million to 49 victims for claims that the HPV vaccine either caused injury or death (2 claims) as of March 2013. There are still nearly 100 claims pending and still others that were dismissed. Judicial Watch had requested these documents and information from the Department of Health and Human Services as part of the agency’s compliance with the Freedom of Information Act. “This new information from the government shows that the serious safety concerns about the use of Gardasil have been well-founded,” Judicial Watch President Tom Fitton argued. Madelyne Meylor, who is now in her 20s, began her menstrual periods at age 13 and received her first HPV dose a few months later. Her periods became irregular and by the third HPV dose at age 15, her periods stopped. At age 16, she was diagnosed with premature ovarian failure. 1 NVIC. Merck’s Gardasil Vaccine Not Proven Safe for Little Girls. June 27, 2006. 2 European Medicines Agency. 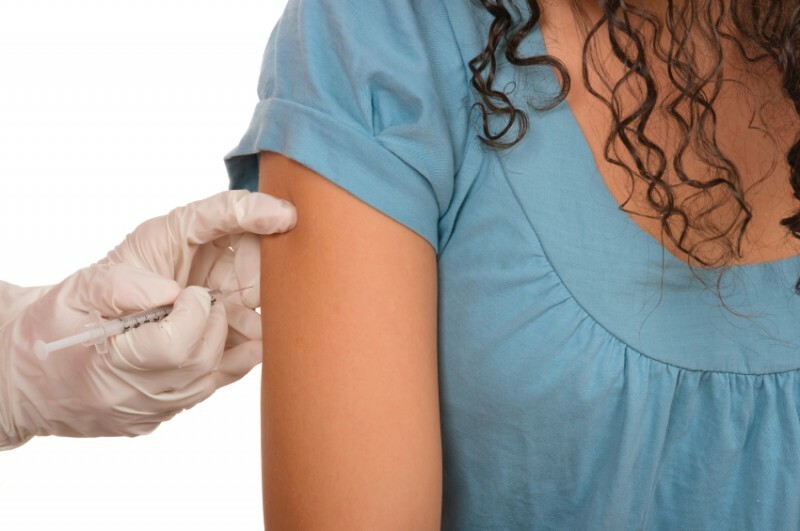 EMA to further clarify safety profile of human papillomavirus (HPV) vaccines. Press Release July 13, 2015. 3 Martinez-Lavin M. Hypothesis: Human papillomavirus vaccination syndrome—small fiber neuropathy and dysautonomia could be its underlying pathogenesis. Clinical Rheumatology 2015;34:7:1165-69. 5 Judicial Watch. Japan Halts HPV Shot for Girls over Safety Issues. The Judicial Watch Blog Corruption Chronicles Oct. 1, 2013. 6 Judicial Watch. JW Investigates HPV Injury Compensation Program. Press Release Mar. 20, 2013. 7 Wahlberg D. Still no ruling in Mount Horeb sisters’ HPV vaccine injury claim. Wisconsin State Journal Oct. 20, 2014. 8 Wahlberg D. Sisters’ HPV Vaccine injury claim heads to federal court. Wisconsin State Journal Nov. 7, 2013. 9 Centers for Disease Control and Prevention. Infertility. Updated Oct. 30, 2013. 10 Erickson N. How closely does the CDC monitor HPV vaccine safety? News Blog. SaneVax Inc. Jan. 5, 2014. 11 Erickson N. Chart on Abortion/Stillbirth from article How closely does the CDC monitor HPV vaccine safety? News Blog. SaneVax Inc. Jan. 5, 2014. 13 U.S. Food and Drug Administration. Package Insert–Gardasil. Vaccines, Blood & Biologics. Updated Nov. 13, 2013. 5 Responses to "HPV Vaccines Raise International Red Flags"
Isn’t it about time for someone to check the vaccines for “accidental” contamination with HCG? After being in a wheelchair for 4 months this year, being severely sick and not attending school for 7 months, my daughter has recovered from her adverse reaction to the HPV vaccination. Long term homeopathic medicine, naturopathy, acupuncture, bowen technique and meditation and the pure will to get better and prove the doctors wrong, were what worked – Western medicine tried to tell me my daughter had a psychological sickness!!!! All I can say is- thank god for the European Medicines Agency and the doctors at Frederiksberg hospital in Denmark for pushing for this investigation! we have started presenting him table food. There are identified 234 types of human papillomavirus (HPV); they are divided in low and high risk; the high risk factor HPV are suspicious to originate the uterine cervical carcinoma (UCC); the low risk the mayority, produce benigns lesions; to day exist world collective psicosis about the HPV by the full advertising to the manufacturer to introduce the vaccine against the HPV in the market.